It is around 3 years since I first started blogging and if you have been following My Story you will know I have come along way. But what is most amazing to me is just how far some of my featured Top Bloggers of 2009 have come. It almost feels crazy to think that many of these bloggers started their blogs at home, in a spare room or bedroom, just like most of us and yet today they are ‘famous‘ all over the world for their blogging. I have said it many times on this site and in my Blogging eCourse – the OPPORTUNITIES in blogging are almost endless and today’s post of the fifty most influential bloggers of 2009 proves it. 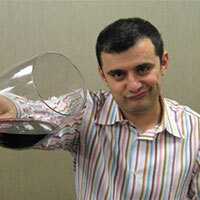 The first is our No 1 Blogger (Video Blogger) – Gary Vaynerchuk. I was fortunate last September to visit with Gary in his offices in New York and do this interview. I don’t think I really need to explain why Gary is No 1. You would have to be living under a rock in the last 12 months to not know who Gary is. Gary comes out with the most profound statements – he states the TRUTH in a unique and inspiring way and the quote below by Gary acts as a very good reminder to all of us. 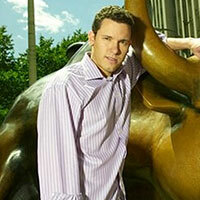 The second individual I would like to give a special mention to is Timothy Sykes. I have also met with Timothy in New York (a different trip) and his insights and business wisdom has been a huge help to me personally. Timothy has also done an interview for me and you can find it in this Earning Big Money With Blogging post. There is no scientific way to choose those who are on the list, these are purely the people who I know have impacted the way I and my friends do blogging. If you feel that we have missed anyone out, please leave a comment below. I look forward to your comments below and it would also be great to hear who has inspired you the most to build a better blog! 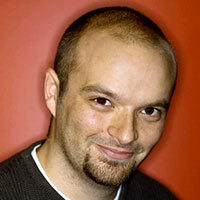 Pete deserves to be on our list because he started the most popular social networking blog online to date, Mashable. Mashable has then acquired many authors to write daily content on the social side of the internet, including news, reviews and new web startups. 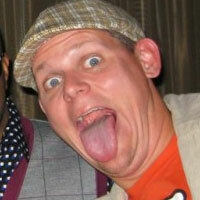 Pete is an inspiration to everyone in the blogosphere. Vitaly made our list because he started up one of the most popular design blogs on the internet that teaches thousands of people daily principles of design. Smashing Magazine is known in every corner of the internet. The content served up on this blog daily is amazing. Designers can head over to Smashing Magazine and expect to find something new, original and juicy each and every day. 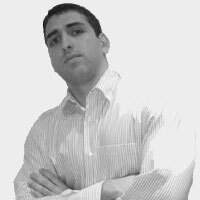 Alborz made our top 50 list because he is the creator / founder of Australia’s fastest growing automotive editorial site, caradvice.com.au. Their posts, reviews, news and photos they put up on the site makes it stand out from the competition. 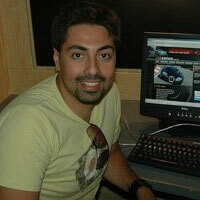 Alborz is a big influence to many car lovers. 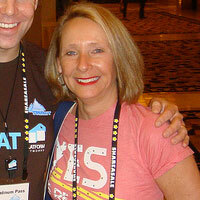 Lisa made our list for her compassion and work she has done on her web statup, blogher. Lisa co-founded blogher.com (the woman’s blog network). Blogher reaches more than 15 million woman each month, via the website and conferences. Keep up the great work Lisa! Adii Rockstar is a remarkable man, which is why he has scored so high up in our list. Adii renamed himself just for marketing purposes, that’s how passionate he is. 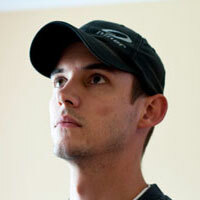 He owns one of the biggest theme websites, WooThemes, and blogs on his personal blog Adii.co.za. He has recently started video-blogging, which has been a huge success. Adii’s posts are very genuine, plus he started one of the biggest blog theme websites, that’s why he is a big influence in the blogging world. 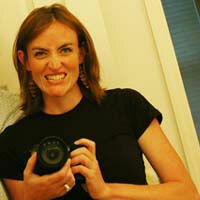 Arianna made it to our list because she is the co-founder and editor-in-chief of the famous Huffington Post. The Huffington post is an online styled newspaper / blog that writes about politics, business and entertainment. Arianna’s website is read by hundreds of thousands of people. Brian made our list because he has come so far in so little time. 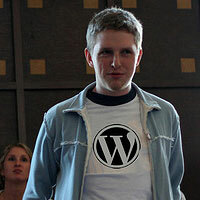 Around 2 years ago he had never owned a domain name or touched a piece of WordPress code. Today, he has a nice blog, and offers services alongside his blogging which include WordPress theme design, Website Strategy and Internet Marketing. Gina is a Technophile, writer, and coder. She has her own podcast named TWIg, blogs on smarterware.org and also blogs about tech, is a programmer and also is a book author of “Upgrade Your Life: The Lifehacker Guide to Working Smarter, Faster, Better”. 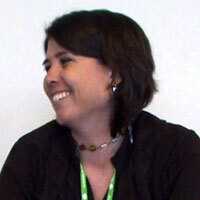 She is also a Sun certified Java programmer who builds Firefox extensions and web applications. Jeremy made our list because of the content he publishes on Shoemoney.com Shoemoney teaches people how to make money online, something Jeremy is very good at, and passionate about. He is a very clever man, and his website gets thousands of daily readers. 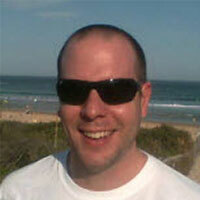 Jeremy is a big player in the blogosphere, and there is much to learn from himself and his website. John Chow, also known as the dot com mongol blogs about his life, and the miscellaneous ramblings of the dot com lifestyle. 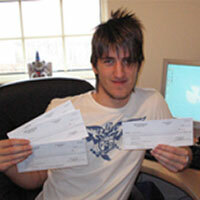 John influences many people, and teaches them how to make money online. All of Johns posts are original, fresh and interesting, not just your standard stuff. That’s why he shines over many competitors in the blogosphere. 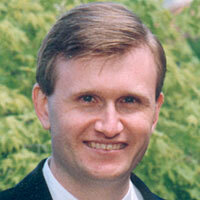 I have read Johns blog since a very early age when I was in school, back when he had just over 1,000 RSS Readers. Since then his blog has grown dramatically along with the internet. Keep up the good work John! I always have know about Andy but never spent much time reading his content but earlier in the year I contacted him for a review and the wealth of knowledge he sent back in an email was just remarkable, a guy every blogger should be speaking with! 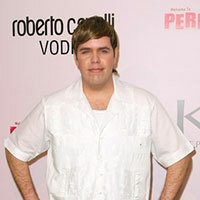 Mario made our top 50 list because he is the founder of perezhilton.com, one of the biggest celebrity blogs. The notorious gossip columnist brands himself as queen of all media. The website has thousands of daily readers, and attracts alot of attention. 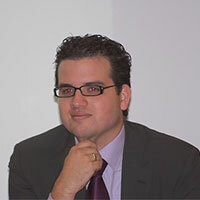 Mario inspires many with his daily articles about news, celeb and gossip. 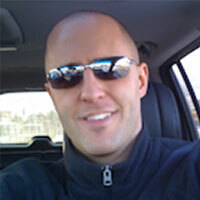 Steve writes a blog about personal development for smart people. Although his site has a plain design, its booming with traffic, so it just goes to show content is king. 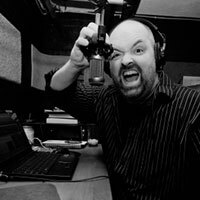 Steve has his own podcast and also speaks at many events. 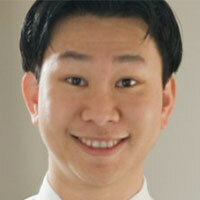 His blog attracts more than 2 millions readers every month! His book “Personal Development for Smart People” was published back in 2008, and since then been translated in to several languages. When I think of funny videos, I think of college humor. Jake and Amir created this awesome website that attracts tens of thousands of daily readers. They have inspired thousands with their network of funny humorous videos, awesome images and funny ramblings. I first met Al by accident in 2006 on Digital Point forums and somehow I got him on MSN, after a random chat I realized he was one of top earning bloggers I knew but had one of the best business models. Simply blog about what you love and the money followed, TOP bloke, making blogging a more fun place. Nick made the list because he has influenced so many individuals including myself from a very young age. 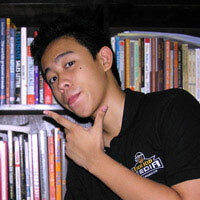 I remember reading his first blog ndesign-studio when I was in school. Nicks artwork, blog posts and overall designs influenced so many people and his site grew very fast. 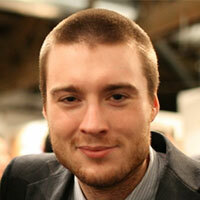 He then went on to launch bestwebgallery, webdesignerwall and recently icondock. 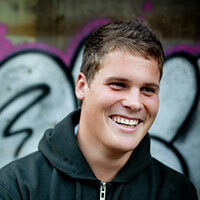 Nick is a true inspiration to the art & design side of blogging. Hongkiat Lim blogs on his very well known site hongkiat.com. He teaches people daily how to design, by providing tutorials, inspirational showcases and huge sets of resources for bloggers and designers. 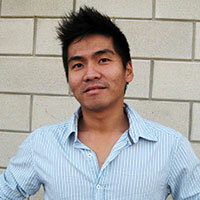 Hongkiat is a true inspiration to now only bloggers, but web designers. 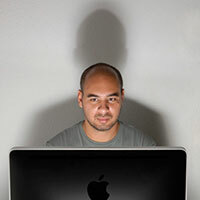 Fabio started one of the most inspirational design blogs ever made, called Abduzeedo. There are some outstanding design showcases posted on there every month. 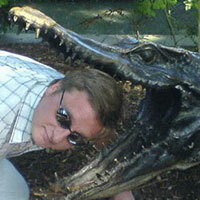 His blog is all over search engine results, and he teaches thousands of people Photoshop every day. An inspirational person for sure, and that’s why he deserves to be on our Inspirational bloggers 2009 list. 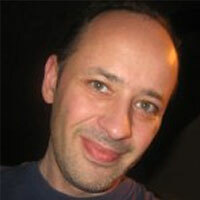 Walter made our list for sure with his website WebDesignerDepot. WDD has a large twitter base of over 60,000 people. 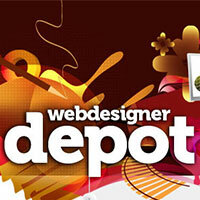 Walter writes daily articles for WebDesignerDepot, including inspirational showcases and galleries, tutorials, tips and tricks, and ramblings. 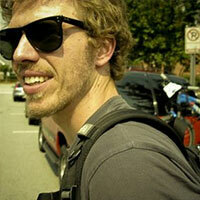 Walter has inspired many with his extremely creative, original and colorful website. I first met David back in March after convincing him to come to Yanik Silver’s underground event. We both sat down in the lobby with other attendees giving out blogging advise and setting up there blogs. When I returned home to England he took my idea for IncomeDiary and brought it to a whole new level. Leggett adds the wow factor to every site he gets his hands on, if you ever get the chance to work with him, take it! We think Skellie deserves to be on the list, because she manages all of the Tuts+ network which is owned by Envato. That Tuts+ network consists of many different tutorial blog sites including the famous PSDTuts that started it all out, NetTuts, AETuts and so many more. Its the biggest tutorial networks on the internet today and every day teaches thousands of people about design and programming. Rosalind made our list because she is a truly inspirational person. When she first started blogging, she received a first check for $10.99, and by the end of the year was turning over $5,000 a month. Rosalind blogs about affiliate marketing, blogging, content development, traffic generation, business strategy and many more topics. 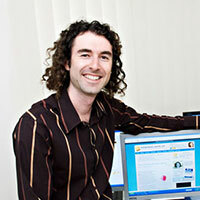 Michael has been exploring the web and making websites since 1997. 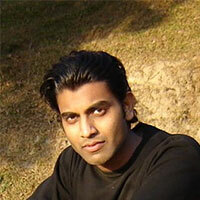 He created his first blog in the year 2000, and since then has come a long way. Michael runs remarkablogger.com where he blogs about marketing, and also coaches individuals and large groups about blogging. 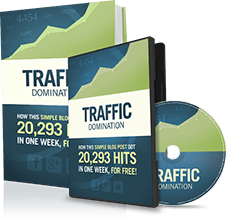 Jack runs the Friday traffic report, which is a blog on blog marketing tips. 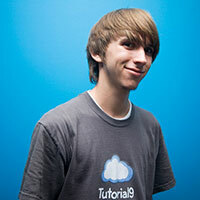 Jack talks about blog promotion, social marketing, interviews people, link building tips and many more. He also has his own radio show. 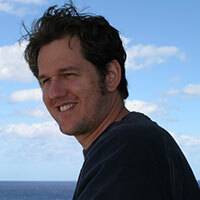 Jack has influenced many bloggers, and has a huge reader audience. 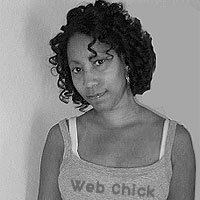 LIsa Irby deserves to be on our list, because she created the website 2createawebsite.com where all beginners can go to find out how to create a blog from start to finish. The brainstorming process, design process and finishing result all included. 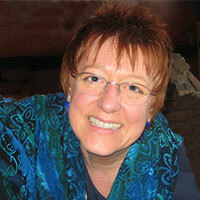 Lisa has influenced many new people into creating their own blog using her forever growing guide. Also included in her free online guide are video tutorials, free blog creation software / builders and many more tips and tricks. PS. To have your chance of being on this list next year, check out my FREE eCourse to making money blogging by clicking here! PPS. Who has made the biggest impact in the way you do blogging? are my favorite bloggers… discovering the others. thank you for sharing this cool info. I’ve been following Fabio for a while, but just started reading some of John Chow’s stuff too. Simply incredible! Great list Michael. These guys are just “awesome” ! really impressive collection, this guys are for sure on the most Influential Bloggers of this year! Thanks Michael for the great post as usual! an impressive list which any aspiring blogger must know…thank you Michael, didn’t know half of the bloggers on the list and shall make an effort to checkout their respective blogs. Great list. But why are there so few women on it? Does this reflect your focus (bias?) or are women bloggers somehow less “influential”? I LOVE your comment, Barry! I wondered the same thing????????? I don’t think it’s that, I just think I have picked the people who have influensed the way I and my friends blog. I can’t really think of any females who have made a difference to how I blog. Just me being honest, would love to change that in future posts though! What a great and diversified resource. I’m aware of several of the bloggers and I look forward to acquainting myself with many more of them. This is a good compilation! What a cool list-some of my favorites..and a bunch of new ones..all to help us embrace, engage and explore..oh and make money in this world of blogging! Thanks so much! Hmmm. Lots o’mens on this list. We’re not making money, but have many humorous videos as a pair (sisters) to rival Jake and Amir. We’re just OLDER!! Great list of people here, most I already know of and follow but now have added a few more to my list. With so many people and websites to visit each day it’s a wonder how I actually get any work done! great list , thanks for the info. This is certainly a good list of people to help me set the bar for my own blog. Thanks for the great information all in one place. Great post. Got 3 new blogs to read now. Completely agree with every single one of them! Although.. I think they should all be #1! Wait a minute … 50 bloggers, and eight of them are women? That’s 16%. I don’t mean to criticize your choices — I think they’re great — but maybe you should diversify your reading material. Exactly my point, I looked for the best, I don’t look for any race, gender or anything in particular apart from how they impacted the blogging world. I wouldn’t expect (or want) anyone to add women to a list just to even the gender ratio. But I thought it was worth pointing out. My selections are biased by my interests, but since you asked, I’m a huge fan of Keri Smith, who started “ad-free blog;” Pioneer Woman Ree Drummond, Copyblogger’s Sonia Simone and social media guru Mari Smith … to name just a few. 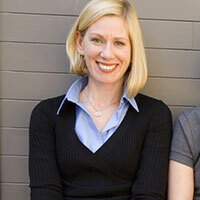 The founders of BlogHer could also be considered very influential. 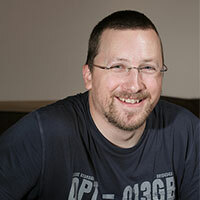 It’s not the real BLOGGERS who wear glasses; it’s the real SEO experts … get your facts straight, Dave! Terrific list, I especially like the problogger and zen habits! I would like to see a list of the top 50 blogs that are not about making money, how to blog, etc. I have been reading a lot of them lately, and certainly appreciate the advice I have found, but would enjoy finding out about more bloggers who’ve had success with other content. Great list – thanks for introducing me to many of these names! Some of them are already mentors, but I’m looking forward to checking out more of these sites. Nice inspirational list. Bunch of nice people overall who have carved out a fantastic life doing what they love! Okay, now I am in the know, I recognized about 30 out of 50 of these bloggers, so I feel like I am recognizing the blogging giants out there. Wonder if I will eventually make the list, long way to go to reach 6 figures by blogging. Brian Gardner deserves to be on this list. 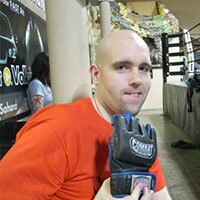 He’s done amazing work for me and many of my clients. Besides his work, Brian is a fantastic human being. Work with this guy if you get the chance. It’s inspiring, if did they it, so that not I? Thanks for the great information, I will spend the afternoon seening their bloggs! Your list is fine. I am somewhat surprised that so many names were unknown, but I guess it gives me a unique chance to read a lot of new blogs. I could have wished a guy like Joel Comm had made the list, but think it’s good to see people’s top-50 lists so we can see what we each think are “noteworthy” blogs. Wow – you’ve just introduced me to thousands of hours of new reading material! Thanks for the awesome (and valuable) list! Thanks very kindly for including me in your list – in the company of Arianna Huffington, indeed! Clearly if I made such a list you would be on there as I think your stuff is fantastic and you seem like a pretty genuine guy. What amazes me is that I’ve actually met a few of these guys (John Chow and Darren Rowse) and they are down to earth and regular guys. So I’m gonna make my list and share soon. The female comment is hard, I only read one females’s blog, well two now that I think about it, I’ve never thought about it. Wow – what an amazing list. I have my next 50 nights of study lined up! If I can learn 1 thing from each of these blogging superstars, my goal of making the list will become reality! I am reading CrushIt now, and met Gary V last week in Baltimore! Congrats to Gary and the rest of the Top 50! Great list! Usually I don’t pay much attention to these kind of lists because there’s so much bias in them but this is a good representation and I like that you’ve spread it out and covered a variety of genres, niches, etc. Awesome list Michael! I’m surprised how many of these I didn’t know about, and I’ve certainly added a few to my reader. Thanks for compiling it! Still not sure how I made this list but it is much appreciated. Great list. Perhaps 50 is just a small number as there are a lot more bloggers that are influential and earns a lot of money doing what they love. It’s interesting to explore their success to learn. Very interesting influential list of bloggers! It’s amazing to see that I know almost half the websites stated here and become in awe with the people who are the ones behind it. just goes to show the indirect influence they have over us eh? ps- credits to Matthew, for without him, possibly MOST of us wouldn’t be so actively involved in the blogging world! This list is so helpful, thank you. One of the most valuable success strategies I learned from Anthony Robbins is to ‘model’ successful people and behaviours. I just launched my blog and have been looking for successful blogging strategies to model. This list has made it so easy to do just that! Anyone know of a Top 50 Fitness & wellness blogger list or should I get to work on creating one? NICE list! I”m a follower of many of these & agree 99% of these folks deserve more than a pat on the back! Thank goodness for Mashable & friends these days. I have to admit, though, seeing Heather/Dooce made me cringe (though I knew she’d be in there somewhere) …. I was once a raving fan of her compelling stories and touching anecdotes. Recently she’s become nearly unreadable (you’ve heard it – bully, drama queen, money monger – “unfortunately” I’ve jumped on the “bandwagon”) and only wish she’d focus on great writing like in the past. End of rant 😉 Thanks again for this list – most these guys & gals are truly inspirational and darn freakin SMART PEOPLE. Nice! Well, Michael, you’ve done it again. A fantastic compilation, complicating my life with more must-read blogs. Up to now, I have just followed loyally yours and Tim Ferris’s. So I’m wondering–if next year, I have achieved my goal of having 100 people become millionaires from the free ideas on my blog, will I make your list? Somehow I doubt it’s that easy, but still a worthy aspiration–not making the millionaires, but making your list. Keep up the amazing work. Thanks very much, glad you enjoy my blog! I checked over your blog and will email you later as there is lot’s of things you could be doing to make more of an impact. nice to see some of the faces for the first time. great post! just wondering why hypebeast or thesartorialist ain’t in the list. I am a regular reader of your site. This is really a very nice list your had complied. The way your are blogging, I hope to see you very soon on this list. i am sure even for you making this list must have not been easy you must be appreciating many more.. Ignore the critics. A blogger should be ranked by the VALUE they contribute to society and I think you presented the most influential ones. 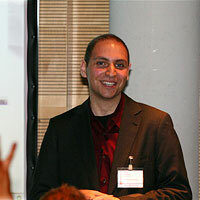 I am a Yaro Starak BlogMastermind graduate and I also follow Maria Andros and Katie Freiling. They will call you a sexist or whatever, but if they want things to change they can start their own blog and do a list that is predominately women. I’ve read an earlier posting you did along the same lines and the women commented on the bias viewpoint. Complaining about it is not going to improve things. I think you did a fine job. Keep up the good work. Thanks for you comment, I agree! 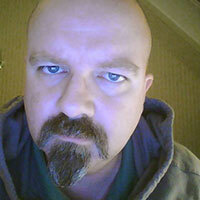 The thing is, if you look at any webmaster forum. comments on any of the blogs above and even blog owners themselves, there is more guys by far, there for this would mean more guys will become a success. Thanks for featuring WDD! it’s a great privilege being in such great list. Just keep up the great work Walter, and you will be continually featured on these lists. Great list. Just read Vaynerchuk’s new book…What are the chances of an up-and-comer hitting the list next year? I think these rules apply to everyone, including bloggers. What amazes me is that I’ve actually met a few of these guys and they are down to earth and regular guys. Great list. 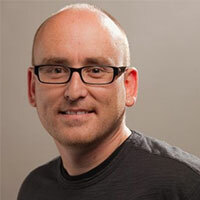 Glad to see Darren Rowse right up there! All this guys new the priceless value of time and they used it for achivieng seted goals. They must be an inspiration for many people. Hope to be in a list like that someday. Everything is possible! Thanks for spending the time to make such an awesome list. I realise that I know zip about many of those poeple featured. I will do some research on them. Thanks. This is an awesome resource list. I’ve read and heard about many of these bloggers but stick mainly with Darren Rowse, Brian Clark and Yaro Starak. I am on a quest to learn and grow so I will definitely check out some of the others I didn’t know. Nice list with all the roleplayers. 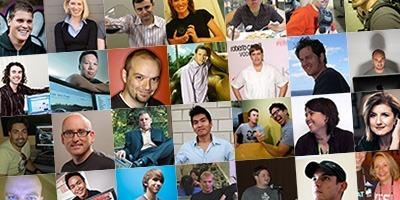 I did want to ask why Robert Scoble(http://scobleizer.com/) did not make it on to your list? Can you maybe explain what where the attributes that you looked for ? What a cool thought – obviously took you a lot of time and energy, and your selections show how tuned in you are – cool! I have to agree with t# 1. Ther is alot to be said that anyone can blog into their passion itis a matter of doing so. Congrats to #50 Lisa! She has really guided me through the whole website building process with her website! I’m excited to say many of these bloggers are in my Feed Reader, and that I have been learning from them. Being a newbie to blogging has been made a lot easier through the content that I read on their blogs as well as yours. Thanks for the huge effort you put into this list. That’s why I stop by here regularly. 🙂 Cheers! This is a great list, I’m super happy for being included as well, thank you very much. However, I think there ios a serious omission: Chris Pearson, creator or the Thesis theme, has influenced so many bloggers. 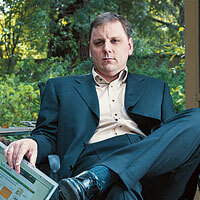 Without him, many people either would have left WordPress, or would have sites that are inferior to what they now have. 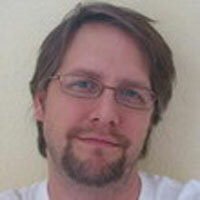 In addition, http://www.pearsonified.com is a must read for wordpress geeks. In my opinion, without Chris on there, the whole list lacks credibility. Great List! Big Fan of Gary and glad to see some new sites I have never heard of! Darn it I didn’t make the list this year. Oh well maybe next year. Seriously all the choices were good ones and I knew most of the names on the list. What a inspiration! I hope to make one of these list one day…or should I say I will ! Wow – that was a nice find. Had to have you on the list after the changes ive made to my blog in the last few months. Awesome post! Thanks for excellent resources. It’s a real inspiration and an awesome way to find out about more successful bloggers. Thanks for sharing the link, James. Just being amongst those names is an honor. Thanks for including me and my little corner of the net! This will be a great resource for other bloggers as well. I like it looks like Michael knows what content to create for a blog! I dont know what some of the whinging is about male v female etc . There is no stopping any other person from putting a list together of who they think are the top 50 bloggers . A female could put out a list of the top 50 female bloggers. I noticed James made the list. Man alive he will have to get a new larger hoodie so is head can fit in it……. Thanks for your kind words and glad that you agree with the approach I took with the list. Laughed hard when I saw you comment about James 😉 ha! 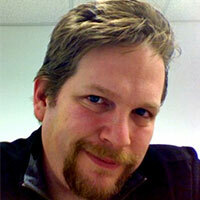 And where is Mark Frauenfelder of BoingBoing? He’s a great blogger too. Sweet post. I bet the most influencial bloggers are making some decent paychecks too. This is a great list of people to learn from. Nice list.I will not say hope to be in this list, I will try to make my own list and be in other lists.But the point is to make money with your blog, be happy and have fun.All the rest are simply science fiction since so many people could make their own lists! This is a great resource. Thanks for the information. I love the layout of your website, it’s so easy to find things, and the content is short and to the point. Very useful. Thanks for the mention Michael, and quite a good list. proud to be pinoy ! This list is really great I didn’t realize there are so many names that I have not heard of. I get my inspirations from Lisa I and Yaro S. They are really something. WOW!!!!! Thanks this was great to check out! Amazing list. Im working my way up there! Great Post. Lisa #50 is my girl. Love her! She helped me out so much. Great site and content and the advice and tips from everyone is truly invaluable. I would like to do some joint venture partnerships in the future. Who do you feel maybe interested. Gary Vaynerchuk is the man! He definitely deserves to be #1. His passion is incredible! It was great to see this list. There are several names I was unfamiliar with. Now I can look into their sites and read what they have to say with some confidence in them. Thanks! Quite Inspiring! I read some of the stories, and bought two books referenced. I just started my blog last night. I sure hope someone visits me soon. There are some bloggers there that I have not read before, many thanks! Awesome list! I follow all the design guys and then some more, these people have so much knowledge to share, it is amazing! Thanks for rounding up! Thanks for the terrific list–many I didn’t know and learned a lot–which need as have a new blog to get up to speed. BTW–Arianna Huffington has millions of monthly readers [not thousands]. Her traffic rank is #44 in the U.S. ie–love Gary Vaynerchuck but his is around 50K [of course he didn’t have AH’s $20M+ capitalization.] However, the 23-yr old ‘girl’ publisher of eatliverun.com didn’t have any $ either, and her traffic stats are twice as high as Gary V’s. Thanks again–this is a quality list of great info and very much appreciated! Hmm. It probably was tasking compiling this list. I happen to know a very few of them in the sense that I have been able to visit their blogs or received emails from them. People like Rosalind Gardner from whose blog I got to know of this subject, Rob Benwell, Steve Pavlina and I think I have heard of Yaro Starak. Great work, Michael. 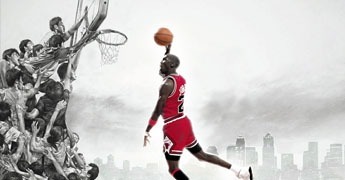 This gives people more blogs to visit and gain one or more things from. Aah I see I am not on the list. Must have just missed it and come in at number 51. LOl. Seriously tho a great list of worthy people Many I follow already learning from there fantastic tips and ideas. Would have been nice to se what your grading score was. Because there are a few bloggers that I think should have made it. Thanks very much, effort was really helpful to me. Most people fill their articles with stuffs but you have given something really important for others while presenting ideas very clearly and more accurately. woW!!!!! Nice People . it is not easy to make money online, but who decide to make money, they always make money. Humbled to be in such excellent company! Here’s a suggestion for two woman who definitely deserve to be on this list: Naomi Dunford of IttyBiz and Sonia Simone of Copyblogger and Remarkable Communication. Thank you for your valuable sharing. Was really an impressive list. I wish you good work. Great list… some Bloggers I never heard about it. Thanks. Truely inspriational… thanks for shareing. Great List. Add Seth Godin. #1 business blog in the universe. Great list! Your choices are “right on” and I love the way you presented each blogger. You made the list, altough you are in #47 but it is an honor being included in the list. Must be a pretty difficult thing to do – analyzing so many blogs/sites and finally coming up with 50. Fantastic list! I’m surprised and delighted to find some people I know, have worked with or whose blogs I have visited on this list. The blogosphere really is a small world. I’m going to visit one person a day and soak in all this good wisdom. Thank you for putting this list together. Thanks for the great list. Had most of these folks on my RSS reader but now I’ve got some more. Sweet! Thanks Michael for an excellent list. This would make me the newbie on the block. I’ll admit it. I’m new to blogging. I started my blog four months ago and I’ve had 6,000 visitors. I read a lot and when I come across bloggers who say they get a thousand a day, I say, show me the money, honey. In the mean time, I’m read,ing, learning and respecting the 50 on the list. My goal is to be on the list, but I think it’s going to take some time to get known. Any of the 50 on the list or visitors here willing to help out a new girl? I’d TRULY appreciate it. I’d like add too that those are some nice looking pix you’ve chosen. Maybe I need to get something more professional, what do you think? That’s a huge list of pro blogger! 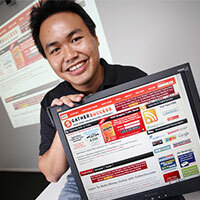 I feel proud of HongKiat as he is one of the pro blogger in my country, Malaysia. I’m follower of some other pro blogger like DarrenRowse, Daniel from DailyBlogTips, JohnChow and etc, I’ve learned quite a lot things from them when I first started my blog. Thank you Michael for the great list! I love Gary Vaynerchuk’s new book (well audio version is what i have) its honest and its all about real value to your customers. I will not say hope to be in this list, I will try to make my own list and be in other lists.But the point is to make money with your blog, be happy and have fun.All the rest are simply science fiction since so many people could make their own lists! Love this! I’m always inspired by your blogs here. Boy..what a list to be on..I know over half of these bloggers and they do put out great content. I know I’m unknown at this moment in the blogging world..But I do have a small fans base. and hope to join this list one day. Thanks for sharing this inspirational list. Good list here. All of these bloggers and entrepreneurs are a huge inspration to myself and others. I noticed not a lot use their own name in the domain name…I wonder if you can still make it with branding your personal name? I see John Chow and a few others but maybe they are the exception to the rule. Anyway, great list, keep up the great work and I am so glad I found this! That’s a very good list. I think these people really deserve to be on the list of most influential bloggers of 2k9. I salute you guys! Congratulations for making it on the list! You got a great list of bloggers here. Nice list. I totally admire these people. Congratulations for making it on the list. Nice to see Shoemoney and Johnchow there. They truly deserve their online incomes! Can’t believe they make so much money! Great list. I will have to add some of these to my rss reader. Wow! What a great list. I never thought that my friend Carl would be included here. I think Carl don’t do much blogging this year because he is very busy on his studies. But I still saw Carl open his personal email and we sometimes do chatting. Thanks for this Michael. I will try my very best to be one of the stars in blogging. hehehe… I am just dreaming. Couldn’t agree more with the list you have compiled here, even if its a bit out of date now there are some serious big hitters here dominating the IM world! Perez Hilton is included! Yey! I love Perez. My day wouldn’t be complete without visiting his site. nice article man !! how do u collect or get thses information !! any tips ?? Another helpful post. It’s about time somebody like you told the truth. Way to go. You popped up on yahoo when I did a search for a subject. Happy I discovered your blog. I’ll subscribe to your RSS feed.. btw.. I was looking for the facebook like icon to add this piece to my feed.. do you have one? I find it interesting that most of the bloggers are men. 🙂 However, this is a list of the most influential ones… so maybe it just hapenned that way! I’ve never felt like I was able to succeed by blogging, but this just proves anyone can do it with hard work, motivation and the right skills. Is there a list for 2011? 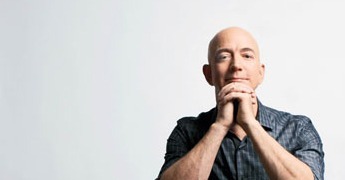 Such amazing list of successful people on the net, I wish I could be one. Great list. 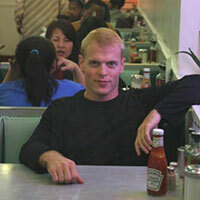 I was also expecting to see Ramit, but I do read Tim Ferriss and Leo regularly.